Do not waste your time: Stay away from these ones. Not even I, a Christmas movie addict can justify them. A MUST WATCH FOR ALL sadly there really re no lifetime movie that i can deem watchable for all. You have to love Christmas movies or be a Sap like me. Official Description: Personal shopper Gwen’s newest client, Charlie, is a high-rolling, workaholic, single father. When Gwen meets his 8-year-old son, Owen, during a package drop, she is saddened to see just how little time Charlie spends with him. Determined to get Charlie to appreciate his family, Gwen makes it her Christmas mission to get him into the festive spirit. As she gets closer to Charlie and Owen, she also discovers what she wants for the holidays. March Sisters at Christmas: Reviewed here: This was a very satisfying X-mas movie. It was actually very appropriate for me, it mixed two of the things I love most: Christmas and the book Little Women. It is an adaptation of the Little women story on a modern setting at Xmas. As a Christmas movie, it hits all the spots, and is very well conceived. However, as it has always happened when I read the book (several times) or have watched the movies (several times again) … am I the only one who REALLY dislikes Amy’s Character??? Totally recommend it! Official Description: Holly has never introduced her toy designer boyfriend Connor to her family and has only revealed that they live “up north.” As their relationship intensifies, Holly knows she can’t wait any longer and decides to bring Conner to meet her parents for Christmas. Connor is in for a shock when he discovers he’s actually headed to the North Pole and Holly’s parents are none other than Santa and Mrs. Claus! Connor embraces his time there despite running into Holly’s ex, Jack Frost. Will Conner be ready to take their relationship to the next level – especially when it means he would be next in line to be Santa? Official Description: With a promotion on the line, ambitious young lawyer Kate heads to Vermont to broker the sale of an old inn. Kate has her work cut out for her when she learns its haunted and she meets Daniel Forsythe – a handsome man who died 95 years ago! Each year, Daniel takes human form exactly twelve days before Christmas, unable to move on with the mystery of his death unsolved. Determined to help Daniel, Kate finds herself in an unlikely romance with the dashing Christmas spirit. 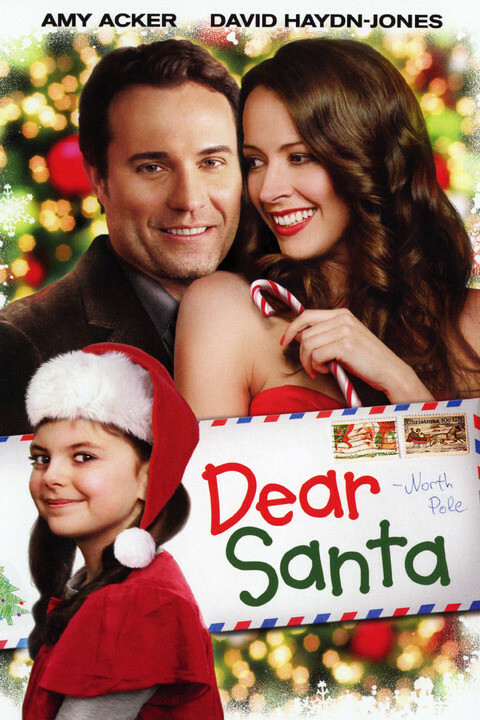 Lonely and drifting through life, twenty-four-year-old Crystal discovers a letter from a little girl asking Santa to send her daddy a new wife for Christmas. Crystal decides to seek them out in the hopes of making herself their gift from Santa. Amy Acker, David Haydn-Jones, Gina Holden and Emma Duke star. Directed by Jason Priestley. Blake and his mother Roxy live in Charlotte, NC. Roxy owns a dance studio and Blake is looking forward to a career as a fighter. On Thanksgiving Eve, there is a terrible car accident. Blake’s mother is killed and he is seriously injured. After he recovers, he finds Ruben at his bedside announcing he is his father and is taking him back to Miami. At 17, Blake cannot live on his own and has no choice but to go with the man who abandoned him as a baby. Ruben owns a dance studio where he lives with his wife, Emily. His career as a ballroom dancer came to an end years ago and his studio has serious financial problems. One of his dancers, Pia is competing in the Holiday Spin with Rob – Ruben’s prodigy. It is a dance competition held every Christmas Eve with the couples dancing to Christmas carols. The grand prize of $50,000 goes to the dance studio. After Pia rejects Rob’s sexual advances, he cheats on her with Tezza, and he decides to make Tezza his new dance partner at a competing dance studio. Even though Blake hasn’t danced since he was a little boy, he begins dancing with Pia and the two decide to compete in the Holiday Spin. Official Description:Ally (Emmanuelle Vaugier) is a smart young career woman who needs a new job. Samantha (Cynthia Gibb) is a busy Beverly Hills advertising executive/mom whose too-well-mannered kids need some fun in their lives. And Danny Donner (Dean Cain) is the tough-guy owner of a chocolate company who wants a major ad campaign immediately. Could it all somehow lead to the Christmas that changes everyone’s lives forever? “A Nanny for Christmas” is a yuletide comedy of errors about little white lies, big holiday wishes, and a woman who may just find love in the most unexpected places. Holly’s Holiday Part of my 2012 reviews as well: Another Lifetime movie, another wonderfully predictable and fully enjoyable Christmas movie. It’s clearly not reaching my top movies chart, but it is good family fun at Christmas! Official Description: Advertising executive Holly walks by the same holiday window every day on her way to work featuring the perfect man(equin). When a fateful icicle knocks her out, the fake window man becomes the man of her dreams. Then she discovers that though his looks are perfect, his personality is still…plastic. 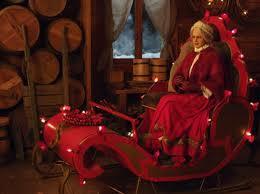 Finding Mrs. Claus: Reviewed before here:Another sooo bad that its acceptable movie. It is cheesy and predictable (you do know what is going to happen after minute 5) but it still leaves you feeling happy and full of spirit. The little girl in the movie is adorable, but you do have to wonder about Mira Sorvino, going from Oscar material to this! Official Description: When ten-year-old Megan receives a Secret Santa gift, she is touched by its contents which end up having a huge impact on her life. Now a driven young journalist, Megan can’t shake her desire to thank the person who sent her that heartfelt gift over a decade ago. Determined to prove herself to her editor, she goes on the search for the perfect Christmas story, and in doing so, she finally discovers who her Secret Santa is. Inspired by a true story. Official Description: Excited to take the next step in their relationship and move in with her boyfriend, Stephanie is crushed when he drops the bombshell that he wants to break up. Faced with spending the holidays heartbroken and homeless, she decides to fly home to Connecticut. On a red-eye the day before Christmas, Stephanie finds herself seated next to Michael, who is planning to propose to his college girlfriend. The two get off to a rocky start but things get even worse when the pilot announces that a huge, unexpected snowstorm is crossing the country. Their flight is diverted to a small town in Montana where Stephanie snags the last available room at the town’s bed and breakfast. Despite their differences, she offers to share the room with Michael and try their best to get along. Official Description: Twenty-eight-year-old Georgia is convinced the man of her dreams is the one “that got away” back in high school. Though she’s tried dating other men, they just never seem to compare to her high school flame. When Georgia learns of her high school reunion a week before Christmas, she’s ecstatic to finally have her chance to win Craig back. But as she gets to relive high school for a night, she begins to realize it might not be Craig at all who got away, but Ben, an old friend with whom she’d fallen out of touch. Official Description: A twenty-something wedding planner disapproves of her mother’s whirlwind romance. Unable to stop her mothers wedding, she decides to take control of it. There are disasters as plans go awry and moments of heartfelt emotion, as the daughter learns that letting go works both ways. Official Description: Christmas is just around the corner but suburban workaholics Maya Fletcher and her husband Jack are too busy to get into the holiday spirit. As their Christmas to do list grows and deadlines fast approach, holiday spirit is at an all time low. Maya forgets she promised to host a Christmas Eve party for her and Jack’s whole family. In an effort to impress a potential new client, Maya has also invited him to spend the holidays with the family.With Christmas only 10 days away, Jack encourages Maya to hire a specialist to help with the planning. 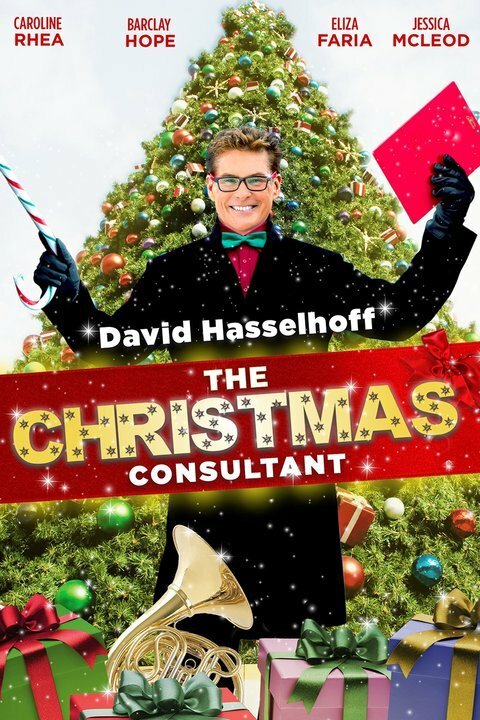 Enter one Owen (David Hasselhoff), the most sought-after Christmas consultant in town. Luckily for them, he recently had a cancellation so the Fletcher’s hire him. Decorating the house, family caroling and planning a family Christmas pageant are all part of Owen’s scheme to make this a magical Christmas for the Fletchers. Slowly he wins over the entire family except for Maya, the supermom who just wants to be able to do it all. She desperately wants to satisfy her boss and land a million dollar perfume account all without missing the Christmas family fun.The Fletcher’s perfect Christmas does not go as anticipated. Can Owen help Maya realize that above all else, having the family together is more important than being a supermom? 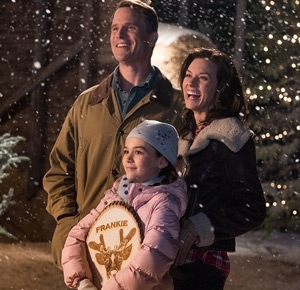 With Owen’s help and a little Christmas magic, the Fletchers are in for a Christmas that none of them will ever forget. Official Description: Every year Joy works like crazy in the weeks leading up to the Holidays to make everything perfect for her family. This is her family’s last Christmas together before her sons head off to college, and she wants to make it the best ever! After her attempts to involve her husband and boys fail, and feeling completely unsupported and taken for granted, Joy goes on strike. Soon, her best friend and other women in the community join in. The story is picked up by a local news reporter, and the strike takes on a life of its own. With Christmas Day quickly approaching and chaos abounding, Joy and her family come to understand what is most important and, with a little holiday magic, ultimately come together for a truly perfect Christmas. Official Description:A romantic holiday tale about two best friends–Sam and Katherine who have spent every Christmas at the children’s table since they were toddlers. They grew up together sharing the highs and lows of young adulthood. Now nearly 30 years later, Sam realizes Katherine is the one…but he is afraid that the past will get in his way. Official Description:When Prancer injures his hoof, Santa’s stable hand John must find a fill in to ensure Christmas deliveries go off without a hitch. His mission gets complicated when he discovers that Frankie, the perfect substitute reindeer, belongs to a precocious 8-year-old girl and her mother Annie. As he races to get Frankie up to the North Pole, he realizes that he’s actually falling in love with Annie and has to find a way to win her over and save Christmas at the same time. Official Description:Small-time con man Nick DeMarco is ordered by his parole officer to take a minimum-wage job as a department store Santa during the holidays… and he hates it. Near the end of his first shift, he hastily promises a young boy, Billy, that Santa will bring his estranged parents back together by Christmas. When his sister Rosemary hears this, she is livid and can’t believe he would break a little boy’s heart with an empty promise. After a long night of soul searching – and with the help of an insightful female pastor – Nick decides to make good on his promise to the child, somehow. But after meeting the boy’s mother Carol, will Nick ultimately choose to put the happiness of others ahead of his own?